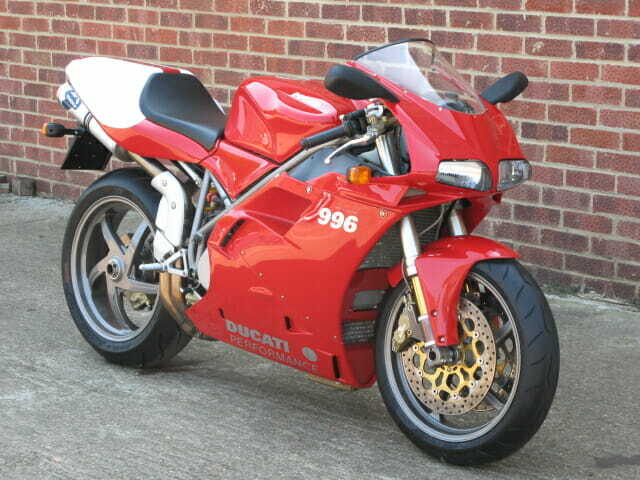 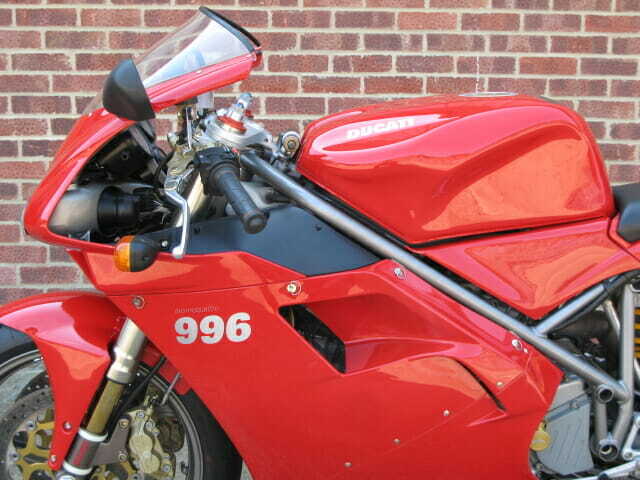 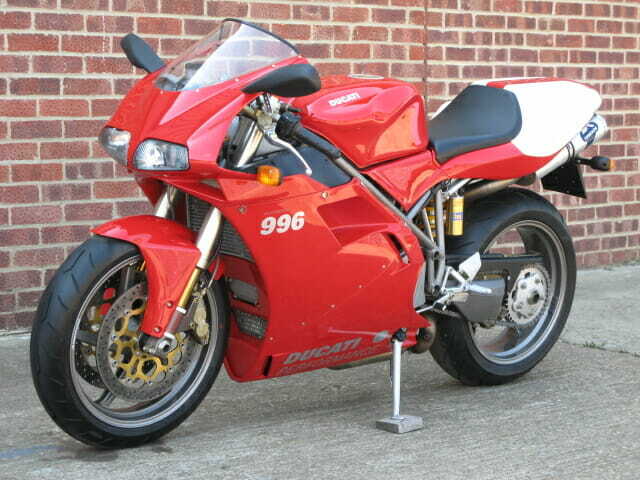 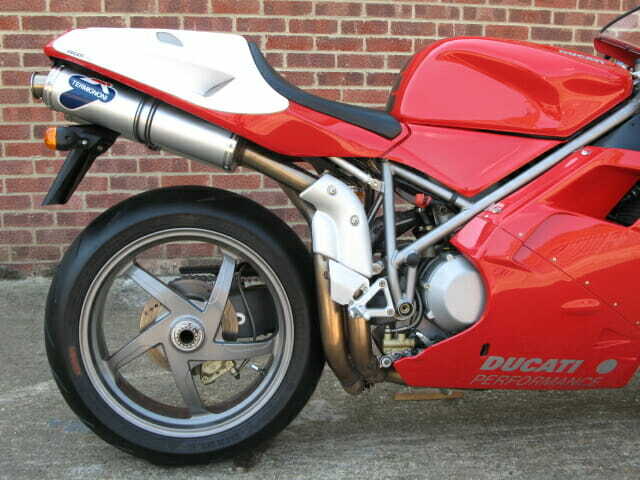 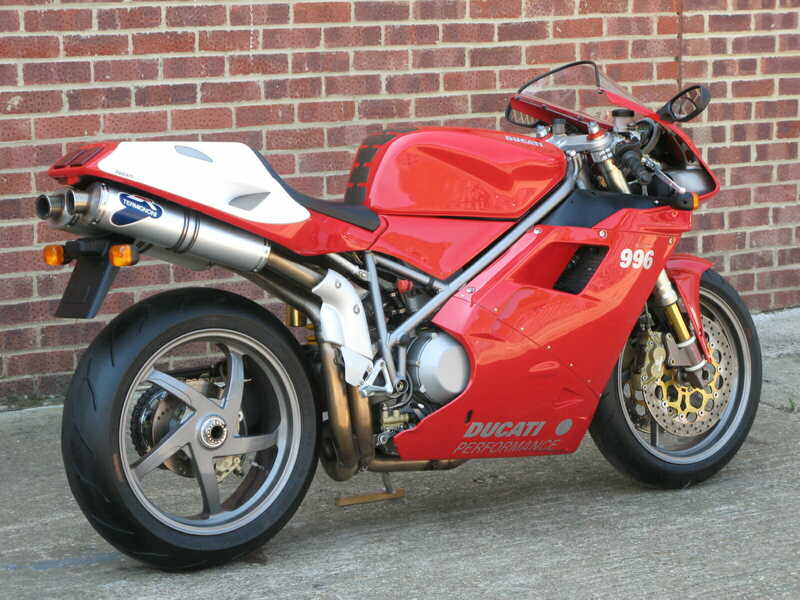 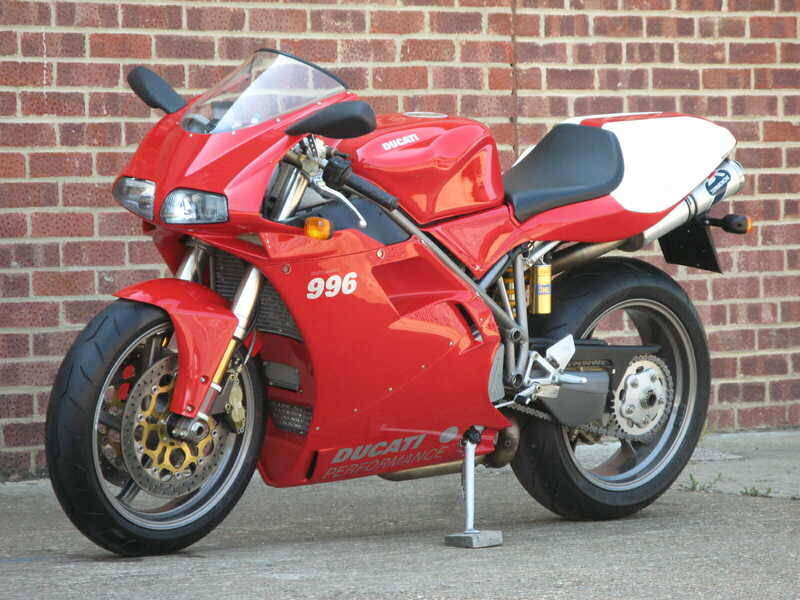 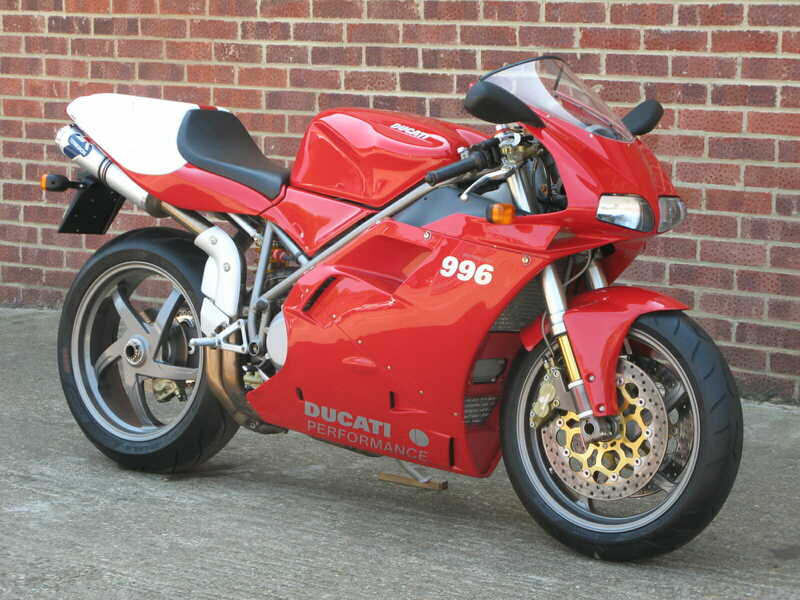 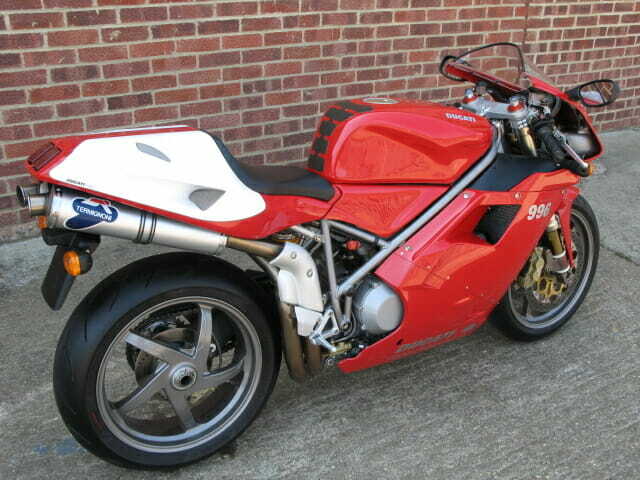 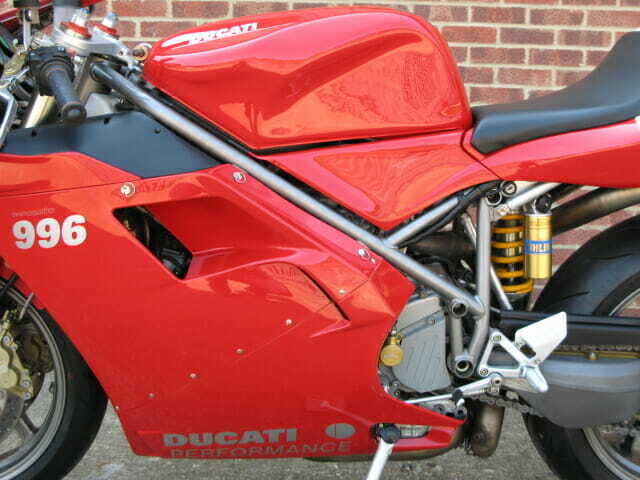 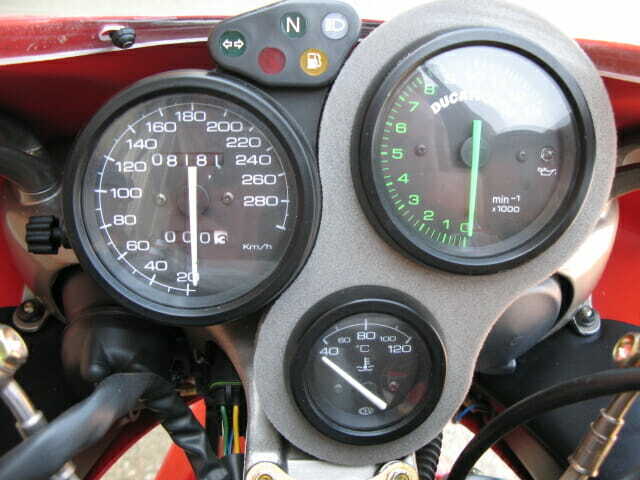 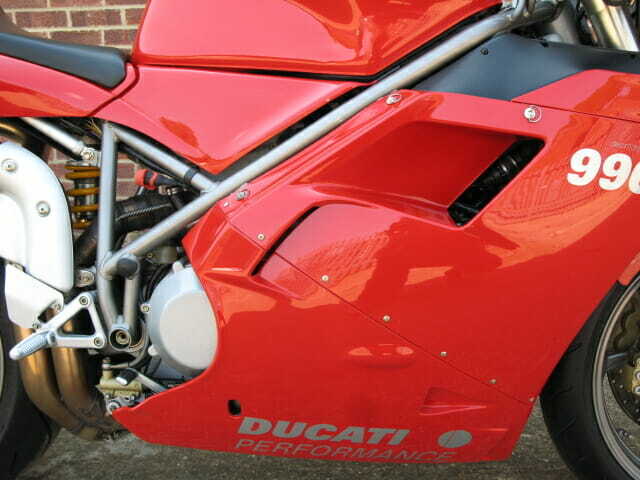 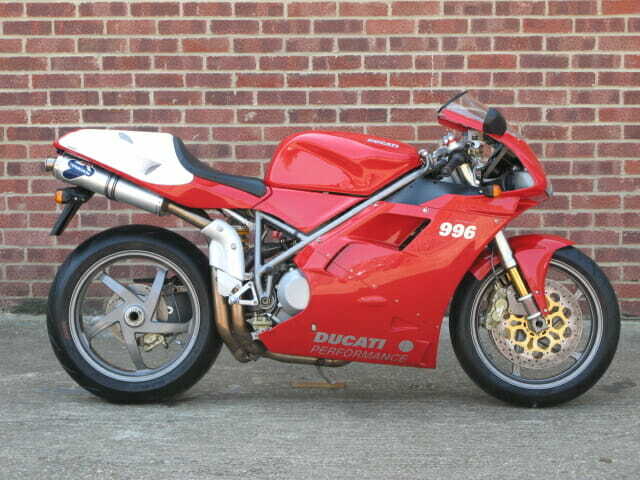 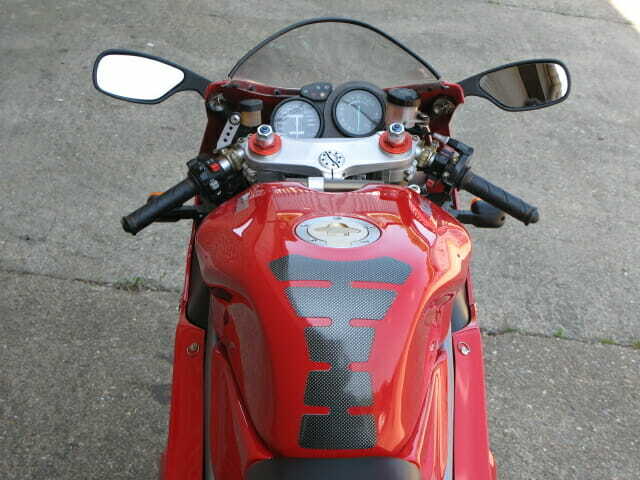 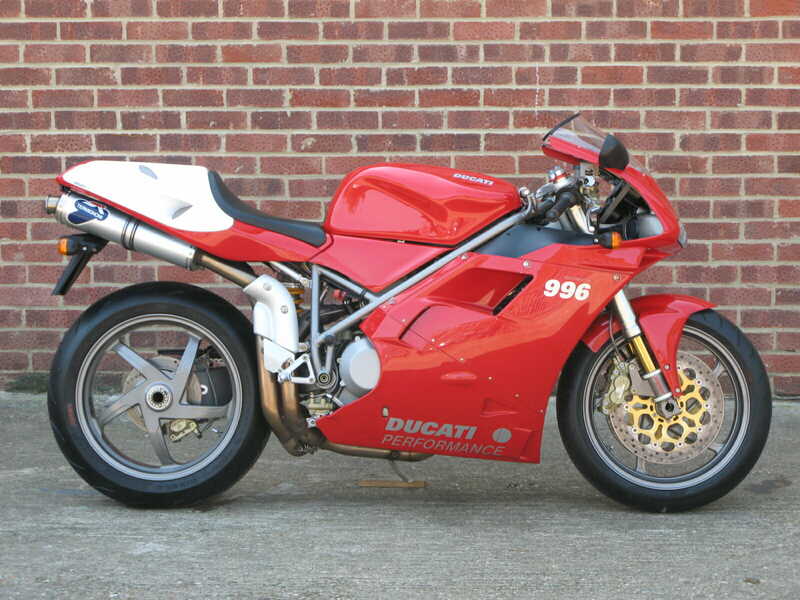 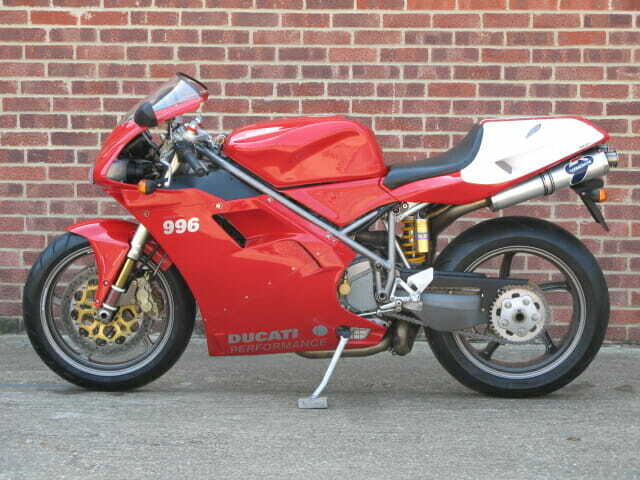 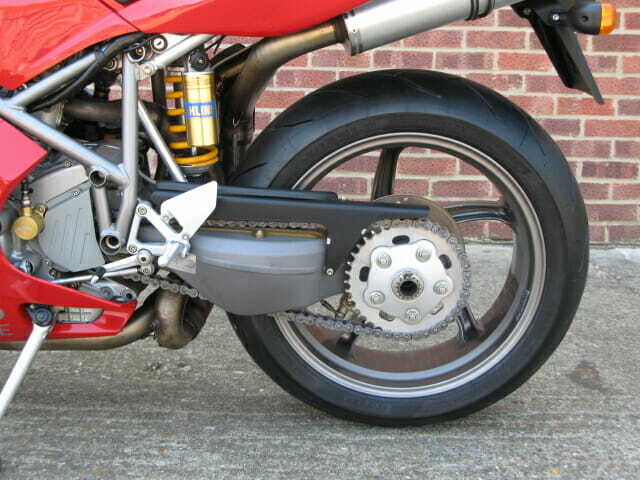 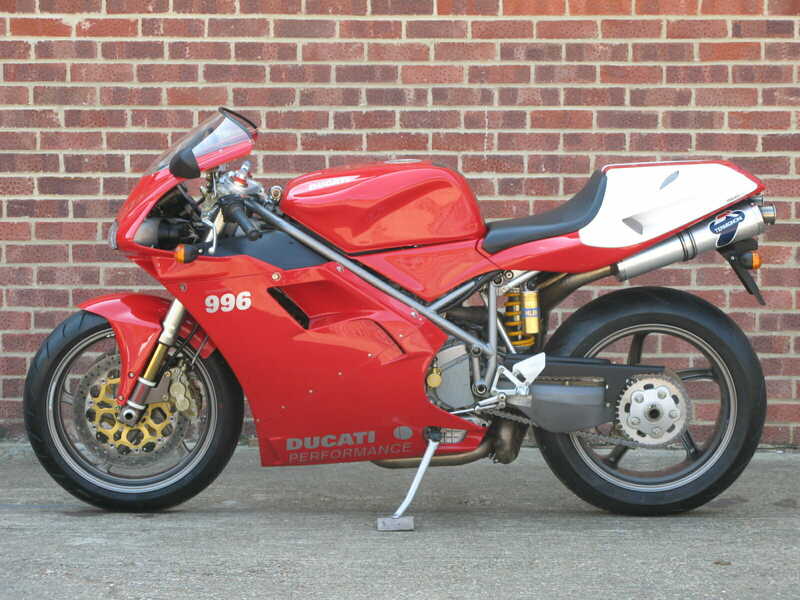 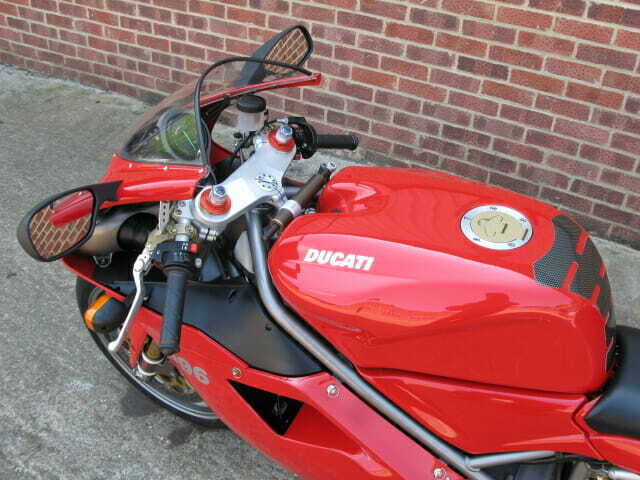 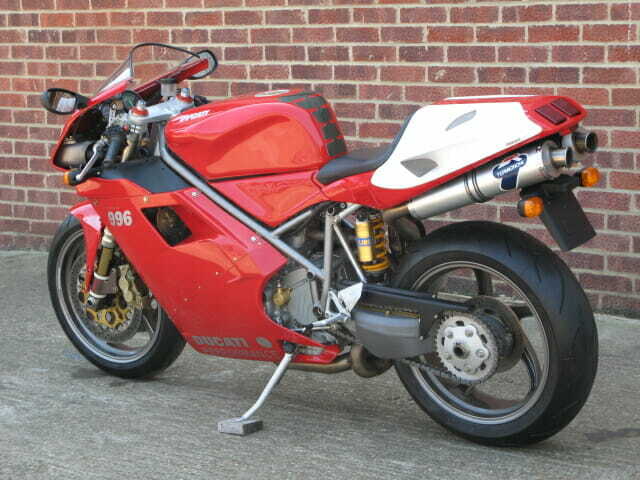 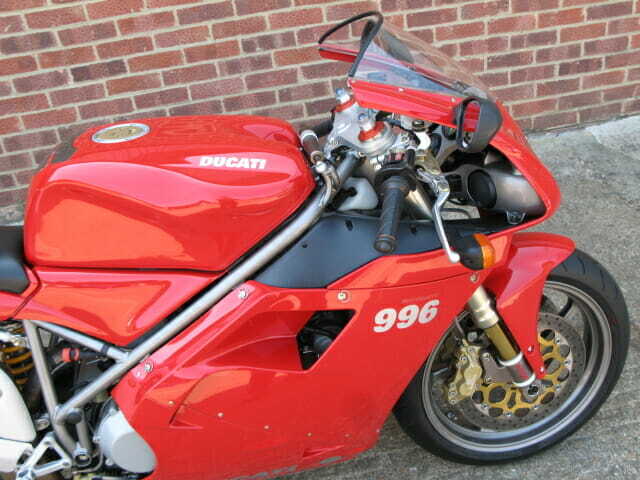 In 1999 the 916 was replaced by the upgraded 996 model, SPS versions of this bike were again available despite the original 916 SPS having the 996cc capacity. 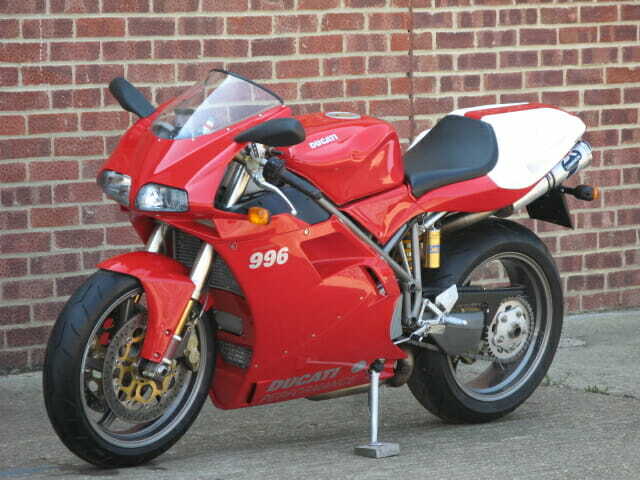 However the new 996 SPS had further enhancements, lighter weight with better suspension and a more powerful engine brought a top speed of almost 175 Mph and an exclusive price to match meant the model became of one of the world’s most expensive production motorcycles. 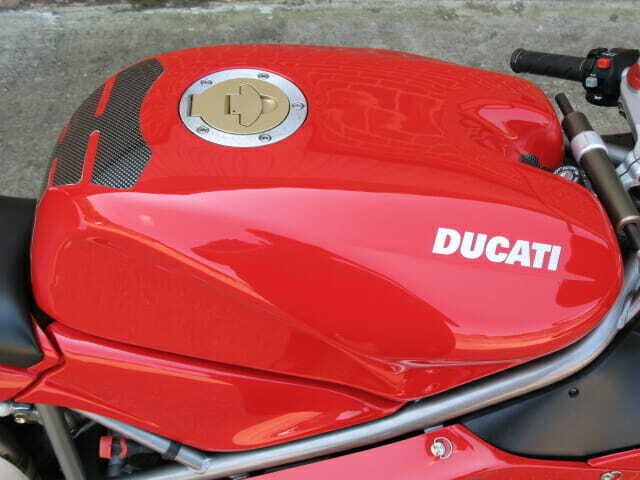 Ducati SPA. 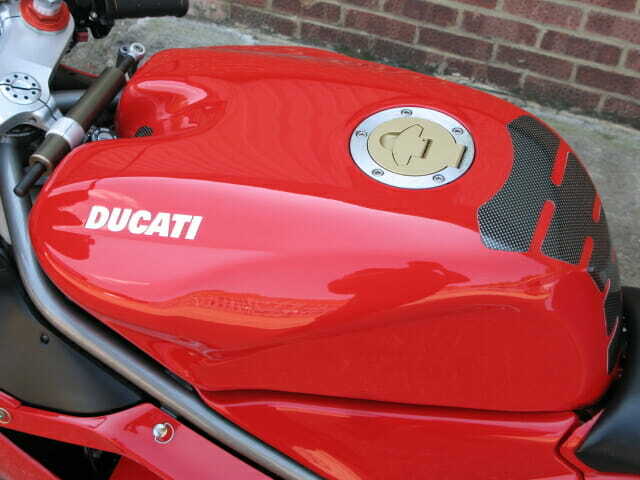 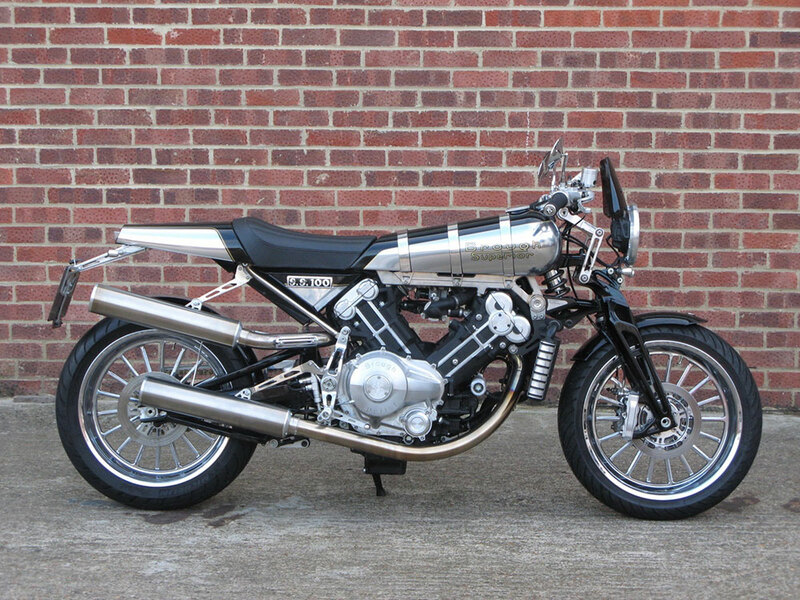 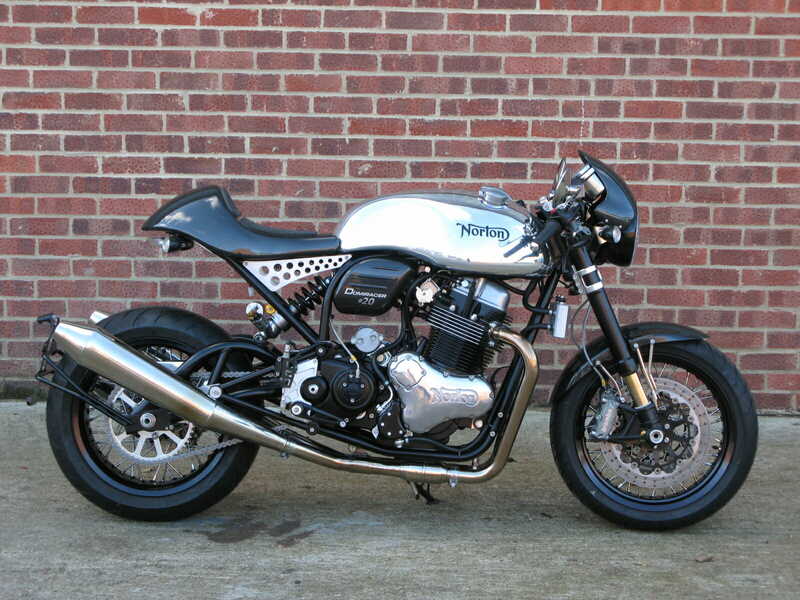 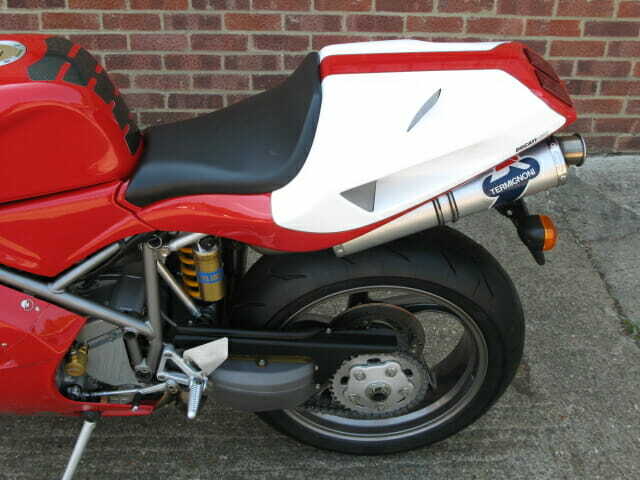 have confirmed to us that this example is a SPS2 version of the bike built almost exclusively for the German market. 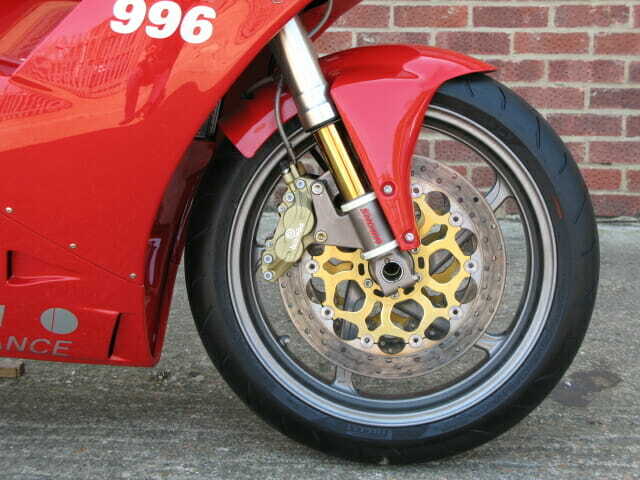 In an attempt to increase sales they were built with a full power SPS motor, Öhlins rear suspension and Showa front forks with Marchesini wheels but had fewer carbon-fibre components, such as the front mudguard. 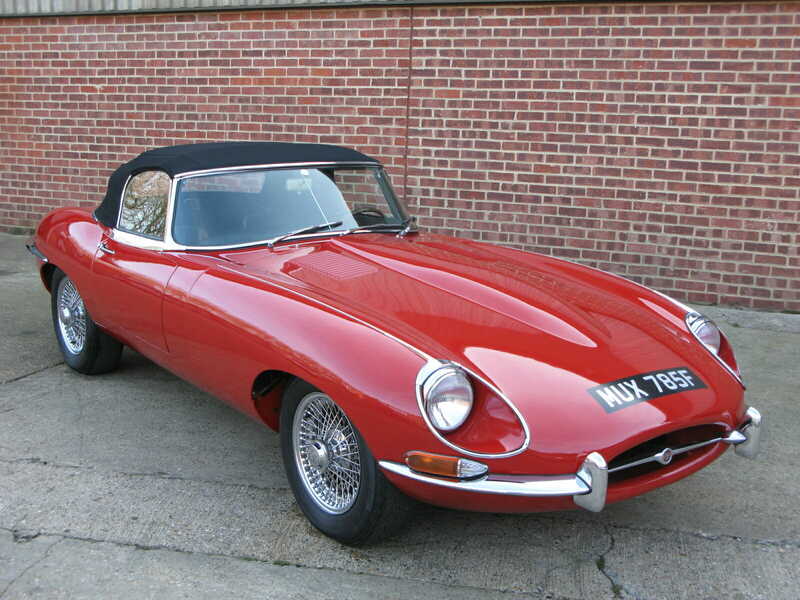 It is understood that only 150 were built. 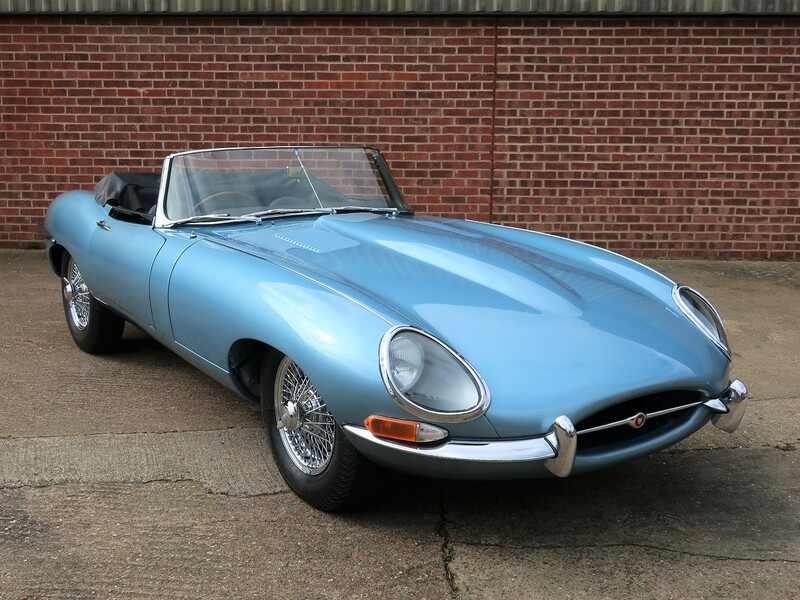 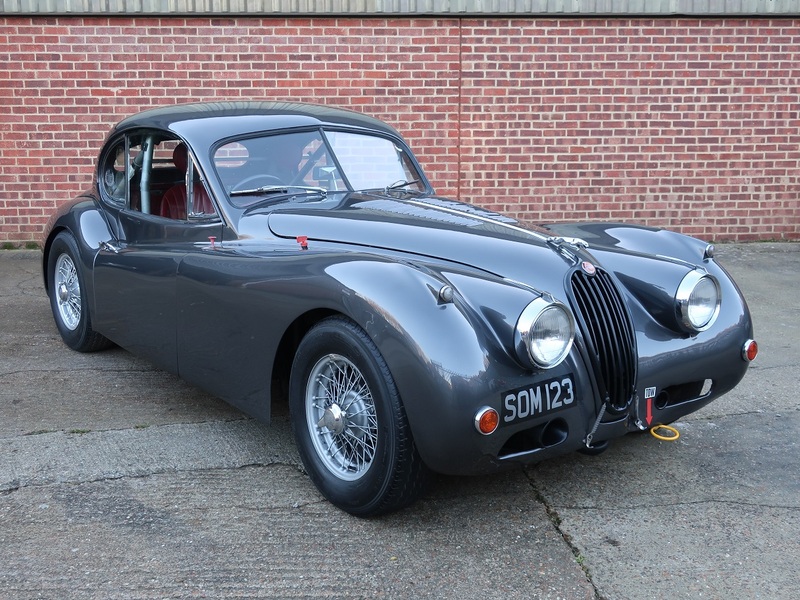 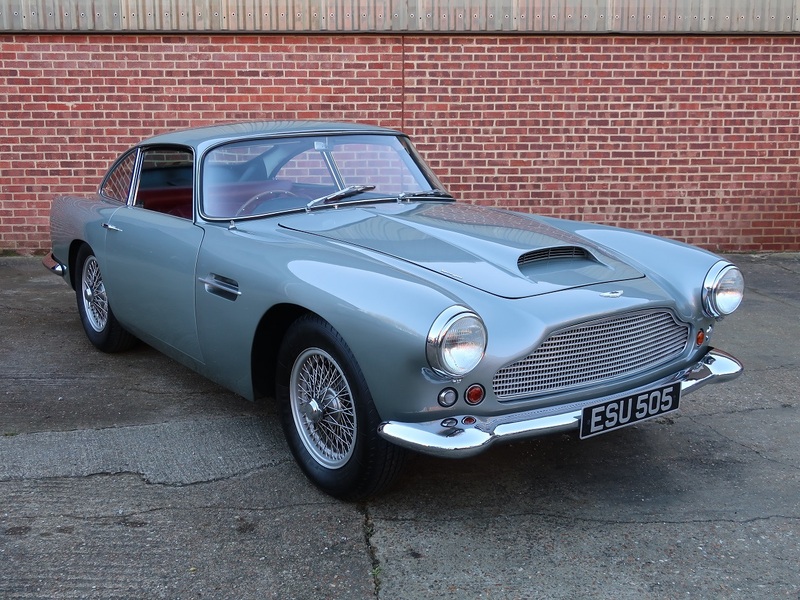 This example was recently imported to the UK and has been re registered here, with just 8,181kms ( aprox 5,000 miles ) it is in truly excellent condition throughout having had a recent full service including the cam belts. 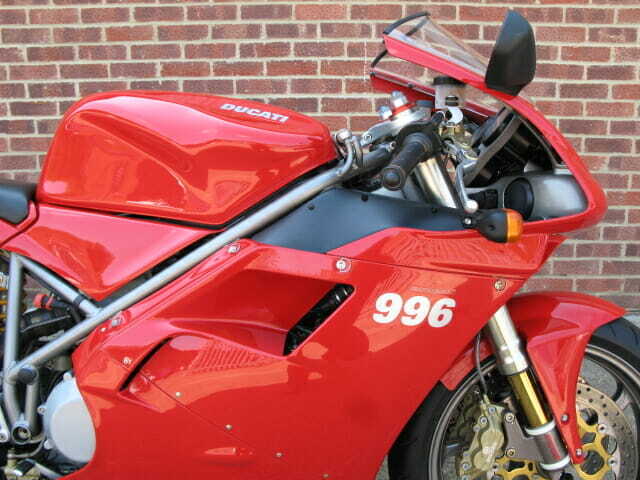 It is fitted with the factory alloy Termignoni exhaust silencers and is supplied with the factory handbooks, MoT until June 2019 and the Uk V5C logbook.